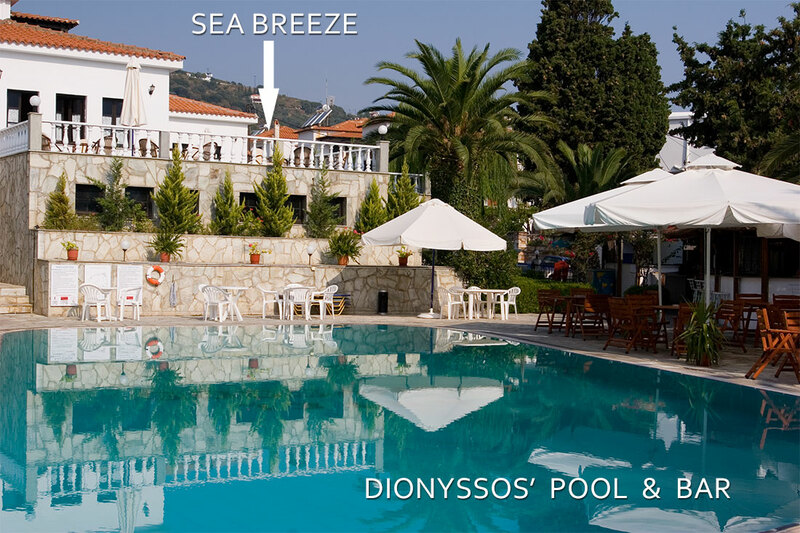 Guests are welcomed by the neighboring Dionyssos hotel to access their pool facilities. The place is just a minute walk and all you need is your bathing suit and your beach towel..! This advantage is free of charge with the appreciation of purchasing a refreshment at the pool bar.